Carol Schwartz, candidate for mayor of the District of Columbia, joins the Education Town Hall on Thursday, August 14. Long-time councilmember and candidate for mayor several times over her decades of service, Schwartz has been out of office for five years. During her last term on the Council, she was one of only two members who opposed mayoral control of DC schools when it was introduced in 2007. She now says, however, that she sees “progress” and would keep Kaya Henderson as Chancellor. What are her other views on DC’s education needs, and how have they evolved in the past five years? Tune in to find out. Listen via TuneIn at 11 a.m. Eastern, Thursday, 8/14. Cathy Reilly, director of DC’s Senior High Alliance of Parents, Principals and Educators (SHAPPE), joins the conversation. Reilly regularly testifies and advocates on a variety of matters, as SHAPPE addresses issues that affect DCPS, particularly its high schools. Reilly has also been part of the advisory group attempting to redraw school boundaries for DC. While originating locally, this conversation is part of the broader struggle for public education. 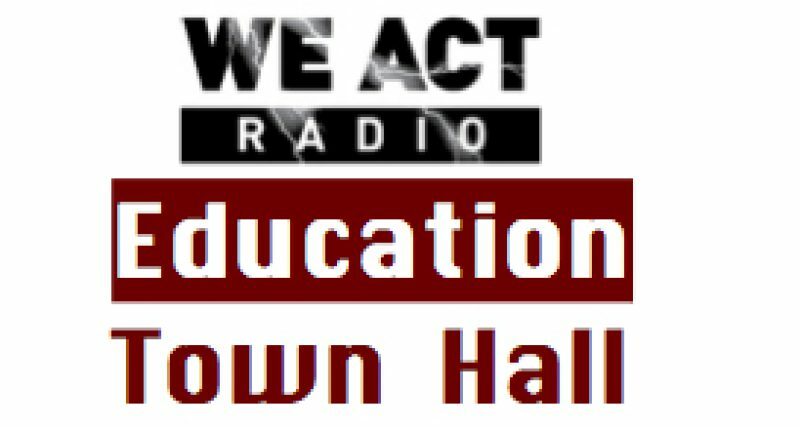 We Act Radio’s Education Town Hall airs weekly on Thursdays, 11 a.m. – noon Eastern. Shows are archived shortly after broadcast.